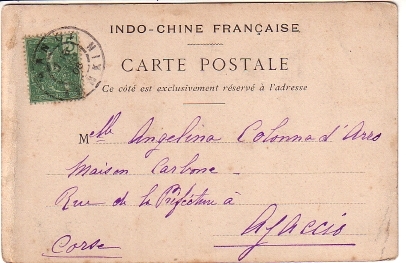 Caption: Femme Man-Quoc (Vue de dos). 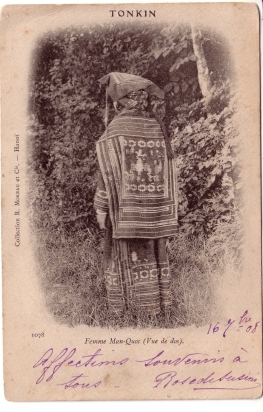 Action: Ethnographic-type photograph of a woman from behind. Dress with appliqué embroidery.